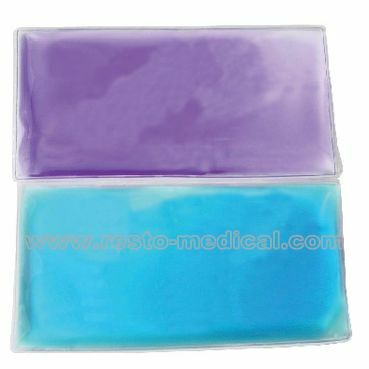 1.This non-toxic and non-caustic gel pack can be used as a hot or cold compress. 2.To warm, place pack in microwavable container, set the microwave at medium power, and heat pack at 30 second intervals until desired temperature is achieved or cover pack completely with 80 - 90Â°C water and soak for 3 - 5 minutes. 3 For cold compress, place in freezer for one hour before using.